How does it work? – How Can We Help? Excess free bike replacements? Sounds too good to be true, but it’s not – we’re big on local retail at Bikmo and, due to our exclusive partnerships and market insight, we’re able to give you the choice to have £0 excess, and have a bike replaced through a local retailer. Follow the instructions for MAKING A CLAIM IN YOUR ACCOUNT. 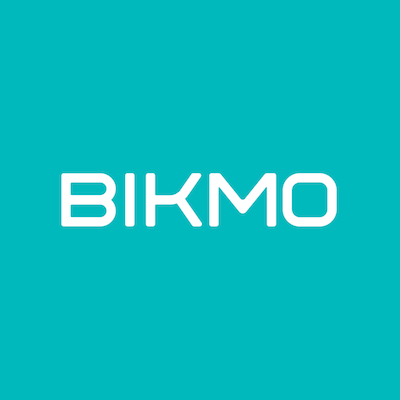 Tell your claims handler that you’d like to choose the excess free option through Bikmo. Your Bikmo advisor will then source a local retailer and provide bike options for you. You get to choose your bike but we can provide advice and guidance when needed. You’ll then visit your local bike shop for a great personal experience, instead of getting a bike in a box from your postie. Ride off into the sunset, wearing a helmet of course. Britney came home from a weekend away to find her mountain bike had been stolen from her garage. After notifying the police and Hiscox about the theft, she was given the choice of going directly through Hiscox for a replacement bike, or being directed to Bikmo and their team of bike experts. After seeing that Bikmo offer excess free replacements through her Bikmo policy, Britney chose to speak to one of the Bikmo team, who were able to get her back on the trail with a brand new bike. Best of all, she was able to collect her bike from a local bike shop, who set it up so it was ready to ride on collection. How do I get an excess-free replacement? The team at Bikmo will be happy to talk you through claiming an excess free replacement. As each bike is different, replacements are going to be unique to you which is why the Bikmo team are happy to help in sourcing your replacement bike, either from a local retailer or from one of our partner stores. This is limited to cycle claims above £1,000 – all other claims are subject to a £100 excess fee. I ride a pink unicorn. It's priceless. How much would it cost me to insure it?